Posted by Michelle Barron on 19th June, 2018 in Opinion and categorised in . Having spoken at a legal conference in Milan back in May, I had the fortunate opportunity to listen in on a keynote address from Professor Richard Susskind entitled “The Future of the Professions” – which also happens to be the title of his 2015 book, co-written with his son Daniel. 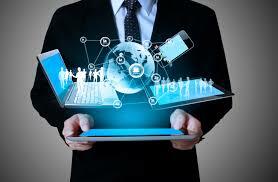 Technology is undoubtedly the biggest disruptor in how lawyers will provide their services in the future. Professor Susskind says that to remain profitable, you must either differentiate your offering to keep prices high, or secure high-volume work at narrower margins. The drive to more commoditised work necessitates streamlining internal operations to keep costs down, with the obvious solution being technology. This is equally true of those labour-intensive tasks in complex work, such as disclosure and document management, where sophisticated software can search and identify content at a speed not humanly possible. As Professor Susskind identifies, it is a common objection that reliance on technology diminishes the perceived contribution from human professionals. My daughter recounted to me recently the diminishing reliance on the physical law library in the Chambers she works in. To which, we both thought of the obvious advantage in being able to survey rooms full of legal text and case law without ever leaving our desk. With the cost of legal services and the ever-reducing limitation on the recovery of costs in litigation, access to justice continues to be a growing concern. Technology enables legal services to be done often vastly more quickly and therefore more cheaply, with any human element being at a far lower level than would otherwise be the case. With the likes of IBM’s Watson, Artificial Intelligence can now predict the outcome of a trial with greater accuracy than a human lawyer. Some may be sceptical, yet we think nothing of reliance on our case management systems and the sophisticated management reports these can provide, which is no different in simply processing vast levels of data more effectively and quickly than a human. Technology has reached the world of costs assessment, with the now compulsory use of the new format “spreadsheet” Bill of Costs, which can only work effectively with sophisticated time recording capturing the vital data to be exported and imported into specialist software to produce Bills of Costs and Costs Budgets. If embraced as envisioned, this will make the labour-intensive job of costing often years of work, almost instantaneous. I have been in practice long enough to have experienced the introduction of the computer into the workplace, emails and mobile phones. The way we work now is vastly different, with everything and everyone being immediately accessible, irrespective of location. I asked my new mobile phone this week for the time in Los Angeles before I made a transatlantic call and a reassuring voice told me the answer instantaneously. Yes, lawyers have been late to the technological party in some ways, but with the exponential growth in technological advancement, we will have no choice but to keep up. In five years’ time this advancement will be thirty-two times greater. In 10 years’ time, a thousand times greater and in twenty years’ time, a million times greater. We should welcome change and factor technology into our practice, project and pricing management, especially if we want to remain competitive. This article was written by Richard Allen who brings more than 30 years of unique commercial experience to Burcher Jennings. He has been a partner in a regional solicitors’ practice, head of costs at a top 100 law firm and was one of the first professionals to achieve Costs Lawyer status. Richard provides training and consultancy services to lawyers and accountants on pricing, costs and practice management.